For the base I used the deep teal card stock, cut and folded to 5 & 1/2" by 4&1/4". 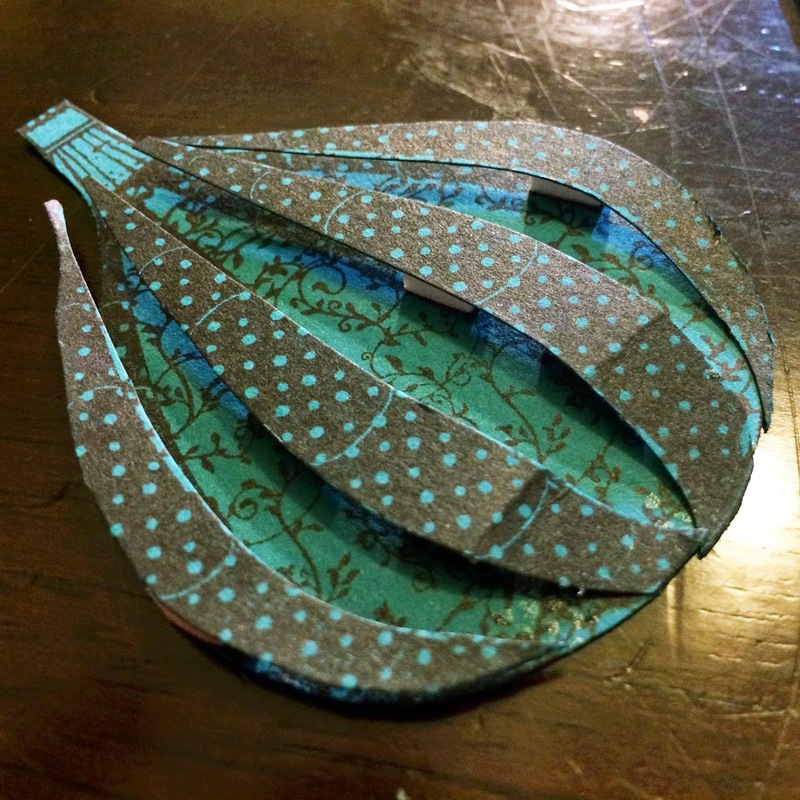 Next, I found all the "blue-greens" in the Carta Bella patterned papers and cut up a bunch of triangles -- various sizes. I did the same with the shimmery, cream card stock. 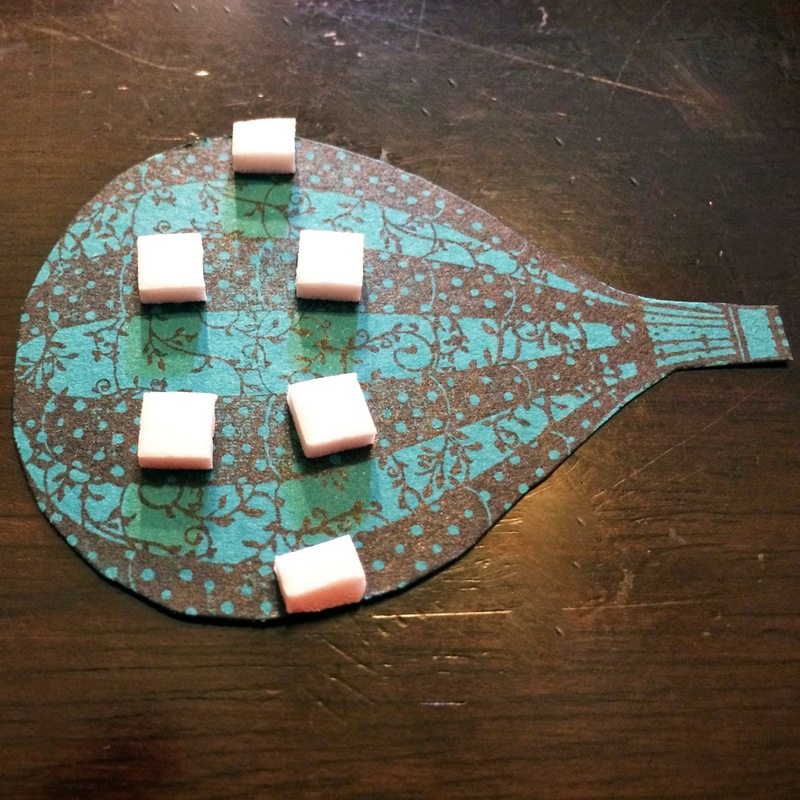 Then I glued them down with Scrap Happy glue in a sort of mosaic pattern. 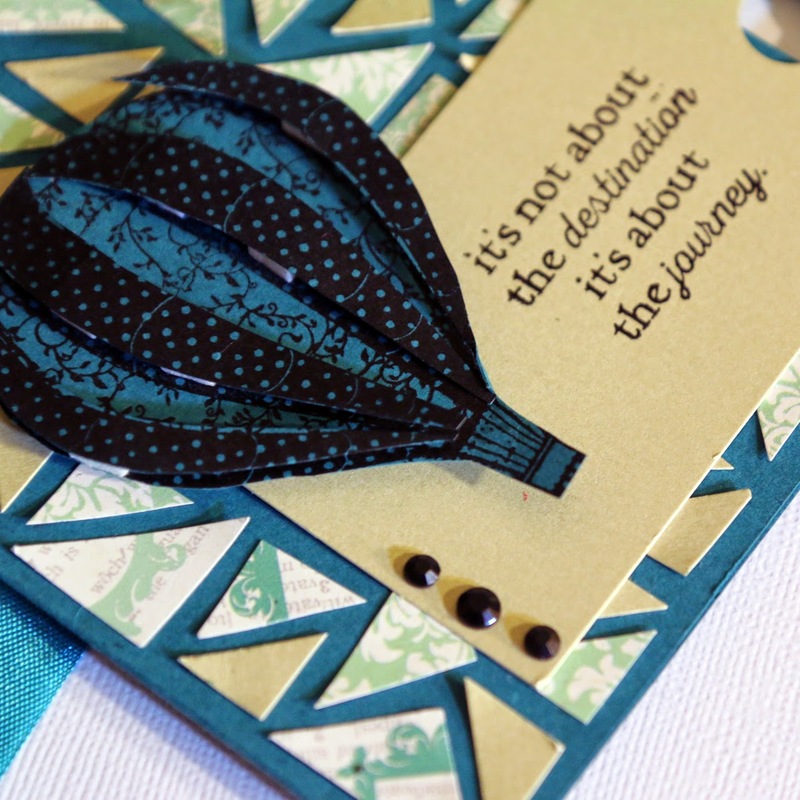 I got out the hot air balloon stamp from the "Soaring Above" stamp set included in the kit, some more of that teal card stock, and Memento Tuxedo Black ink. I stamped the balloon twice. I fussy cut out one of the balloons and then grabbed some 3D foam squares and added it to the polka dot parts of the balloon (only in the middle). Next I took the second balloon that I stamped and fussy cut around just the polka dot parts. I added those over the top of the foam squares, and also used some Scrap Happy Glue to glue the edges down. I wanted to create an effect that looked like the balloon was popping off the card in a spherical manner! I cut out a tag from the shimmery card stock (freehand but you could trace one from your stash) and added the sentiment from the "Soaring Above" stamp set, included in the kit, Queen & Co. bling, a little ribbon and called it done! 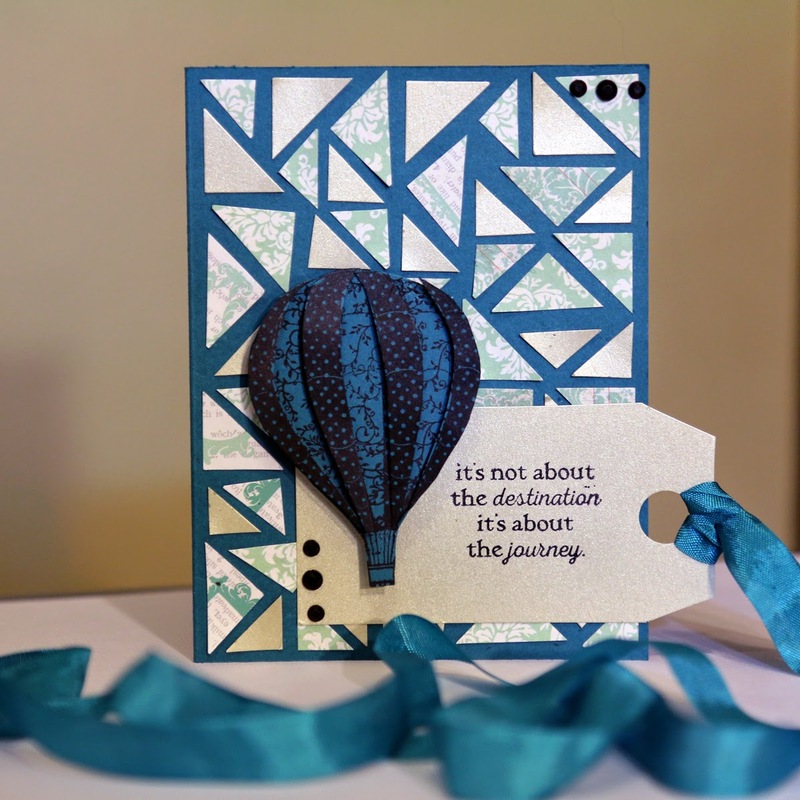 Stamps: The Rubber Café – Creative Café kit of the Month ; Take Flight; The hot air balloon stamp is from the "Soaring Above" stamp set included in the kit. Embellishments: Queen & Co. Bling; Ribbon; all included in the kit.